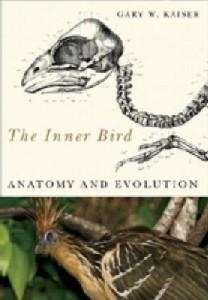 "The Inner Bird" introduces readers to the avian skeleton, then moves beyond anatomy to discuss the relationships between birds and dinosaurs and other early ancestors. Gary Kaiser examines the challenges scientists face in understanding avian evolution - even recent advances in biomolecular genetics have failed to provide a clear evolutionary story. Using examples from recently discovered fossils of birds and near-birds, Kaiser describes an avian history based on the gradual abandonment of dinosaur-like characteristics, and the related acquisition of avian characteristics such as sophisticated flight techniques and the production of large eggs. Such developments have enabled modern birds to invade the oceans and to exploit habitats that excluded dinosaurs for millions of years.While ornithology is a complex discipline that draws on many fields, it is nevertheless burdened with obsolete assumptions and archaic terminology. "The Inner Bird" offers modern interpretations for some of those ideas and links them to more current research. It should help anyone interested in birds to bridge the gap between long-dead fossils and the challenges faced by living species.